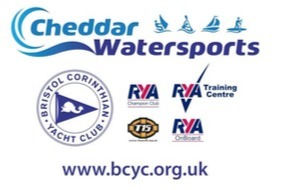 BCYC is a recognised Training Centre and Champion Club certified by the Royal Yachting Association, the governing body for sailing in the U.K.
We have a team of RYA (Dinghy, Windsurf and Powerboat) and BSUPA (Stand Up Paddleboard) qualified Instructors which enables the club to offer a variety of taster sessions and training courses for adults and juniors. Training at the club is overseen by the RYA Principal, John Allen, and coordinated by Dinghy Chief Instructor Charles Richardson, Windsurf Chief Instructor Keith Shepherd and Powerboat Chief Instructor Duncan Forrester. The menu on the right hand side lists all the courses and experiences we offer with all the details needed for you to find the watersports experience you are looking for. Online booking is available and new courses are being added regularly so please refer to the booking website for availability.